There is nothing a fraudster likes better than exploiting the sense of vulnerability and desperation of unsuspecting victims. They pretend to be someone that can be trusted, thereby leveraging on this trust to penetrate into the minds of their victims. Nigeria today is known for her fraudulent notoriety ranging from cyberscam (yahoo yahoo), con artist and a host of others. A red alert sent to this online news medium reveals that one Alhaji Ibrahim, who prides himself as the Director of Operations at Overland Airways has been involved in some illegal practices that can possibly dent the reputation of Overland Airways. He has been alleged to send fraudulent messages to young unsuspecting Nigerian graduates using Overland Airways as his proxy thereby swindling these innocent graduates of their monies. It was reported that Ibrahim sends phoney messages that read: “recommend three reliable graduates that can work in an airline in Enugu, Abuja, Lagos and Port- Harcourt” to be sent to a designated email address; fly2@overlandairways.com and further enquires is to be made on this mobile number: 08183364063. It was further alleged by our source that Ibrahim goes further to lure his victims into paying money into a certain account. This act, however, is done under the facade of asking them to go to the airport to receive a ticket that has been booked on their behalf after a call have been placed across to him. He deceives his victims into going to Lagos airport to pick up this ticket which he usually says is booking to Abuja at Overland Airways, asking them to get back to him in case they encounter any challenges. However, SecretReporters gathered that his victims upon reporting to the airport are bamboozled to discover that no bookings have actually been made for them and they are redirected to put a call through to the enquiry number. When Ibrahim is eventually called, he persuades these graduates to immediately pay for their bookings with the promise to refund them the money to them as soon as they land Abuja. As soon as the monetary transactions are made to a GTB account number 0423284541 with account name Mrs Oyinade. Blessing Olorunfemi who poses as the Head of Ticketing and Reservations, Overland Airways, Ibrahim immediately goes incommunicado as all known numbers and contact automatically becomes unreachable. 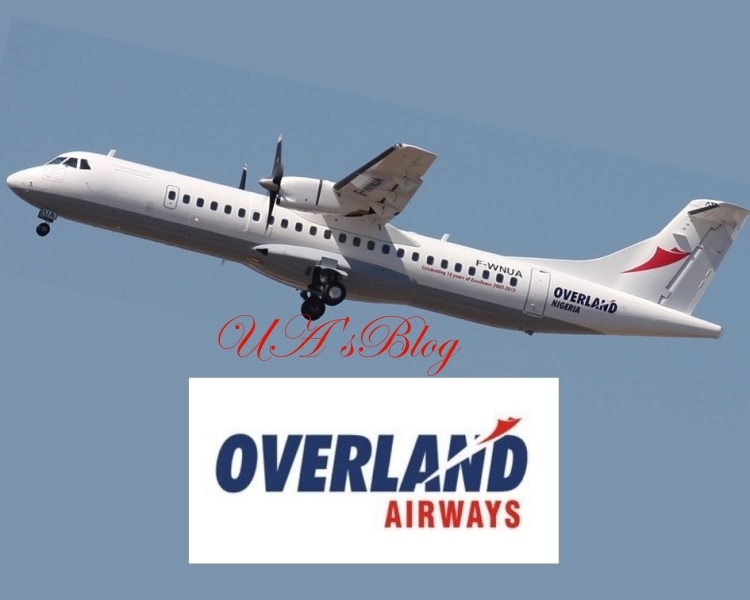 When Overland Airways were contacted by our reporter they acknowledged ownership of the email address used but denied receiving any email on the subject matter and any connection with Alhaji Ibrahim stating that they had already notified the appropriate authorities. There are calls from various quarters to Overland Airways to immediately investigate the actions of the imposter; Alhaji Ibrahim Hamzak if they are oblivious of his actions as it is currently denting their corporate image.